This is an Aimer album review and that can only mean one thing: I'm going to try to be as objective as possible. It's going to be hard, since if you haven't already figured it out, I'm a huge fan of hers. I love most of her work, even StarRingChild which I love to appreciate. But this post isn't all about me rambling about how wonderful she is, there has to be some criticism amidst the fangirl chaos. 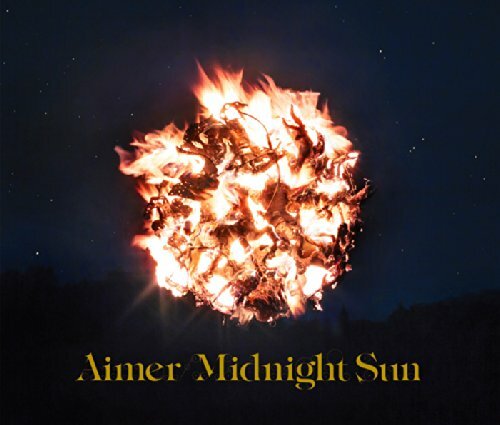 Midnight Sun is Aimer's second studio, original album after Sleepless Nights. The cover doesn't really attract me all that much but the "explosion" does imply a change in her style. This album includes a lot of what I would call "traditional" Aimer tracks but also includes some new sounds and experimentation. Let's see how it all fairs. The album follows the same pattern as her previous one, where the prelude and postlude are different versions of the same song. Last time, it was TWINKLE TWINKLE LITTLE STAR; this time, it's WHEN YOU WISH UPON A STAR. I love how she chooses "star" themed classics to begin and end her albums. It's a great touch to differentiate herself. The prologue was so good and so beautiful. The instruments were stripped down to emphasize her husky voice and her distinct vocal dynamics. The couple seconds at the end led to the next song perfectly. However, if you aren't into super simple or extremely slow tempo songs, I don't think you will enjoy it that much. Nemuri no Mori is the type of song I would like to describe as a classic Aimer upbeat song. It is one of the strongest tracks and definitely sticks out amongst the other songs. The lyrics tell a sad story about two people running away but it can interpreted differently. The pv shows two kids running away but it ends abruptly with a horrible encounter with some crows. Then the album kind of slows down with Shikigatsu no Tsubasa. Literally, pun intended. At first I really liked this song but after a couple listens, not so much. It’s a ballad with a lovely melody but at some points, it sounds like any other stereotypical Japanese ballad. If it was cut shorter or just had more of that Aimer spark, it would have continued that strong streak Midnight Sun had going. Words first appeared in After Dark. I didn't like it then and still don't like it now. Sorry, Abe Mao. I don't know why but it doesn't move me like her other songs. I do love the fact that I can feel the emotion behind the vocals and heartbreak in the lyrics. It's a great song but maybe it's not for everyone. I would recommend given this a try, there's a magnificent pv available out there. Cold Sun reminds me of some other Aimer song that I can't put my finger on right now. It's a faster paced tempo than the previous track and evokes a sort of bittersweet feel. I feel quite neutral on this song because although it doesn't get stuck in my head, I understand its role on the album. It does it jobs by helping move the album along and acts like the rising action towards the climax. AM03:00's got a groovy and addictive guitar tune. The more I listen to it, the more I like it. It's neat there's a follow-up to her other song, AM02:00. I can't wait until she gets to 4 am. I don't have any complaints about it; on the other hand Chiisana Hoshi no Melody makes me conflicted. I find the accordion to be a bit annoying but the chorus and verse are so lovely. VOICE begins off strong with a high ranged piano melody; a soft guitar melody joins in accompanied by soft percussion. One of the things I love about Aimer's songs is for the most part, the percussion is soft and kind of lays in the background, shifting the focus to the other instruments. The piano melody is always present as the song builds up. There's a weird wind or synth instrument in the backtrack that I would love to figure out the name of. I still feel the same way about StarRingChild. It's poor attempt at creating a second Re: I am. On the other hand, I realized that I liked Re: I am way more than I did before. I continue to find the chorus saturated but the verse and bridge are really good. Same issue with StarRingChild. I would love a studio ballad version of either of those two songs or preferably both. Hoshi no Kieta Yoru Ni was a B-side to Re: I am. When I first saw that Genki Rockets was taking part in the "re-echoing", I was stoked. It's cool to see Aimer and Genki Rockets collaborate again. This song has the best possible outcome where the backtrack sounds like a totally different song but the vocals haven't changed at all. Then we get Iris and it is easily my favourite song on the entire album. It's a ballad by Aimer, and that's all you need to know. 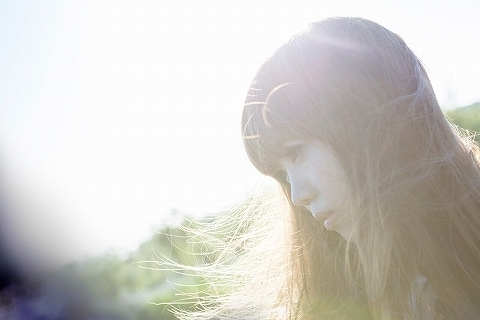 Aimer doesn't always do ballads the right way, but when she does, it's just like magic. The way she hits those high notes just sends shivers down my spine. The album ends off with a different rendition of WHEN YOU WISH UPON A STAR. The clock ticking sound is a tad overwhelming. If they had only turned it down as soon as the vocals kicked in, it would have been much less distracting. Midnight Sun refers to the natural phenomenon where you can still see the sun at midnight. This album is no phenomenon. What it is is an indication of change. I feel like Aimer's experimenting and trying out new sounds. Although the results may be messy and not what I expect, I appreciate the effort and work put into this album. Whereas Sleepless Nights is a perfect album in my eyes, Midnight Sun is simply a good attempt at creating something different.